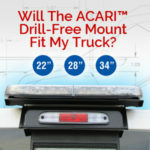 See the Acari-Drill Free Mount in Action! Know before you buy! Study our dimensional drawings to see exactly how the Acari will fit on your truck. Have a Question? 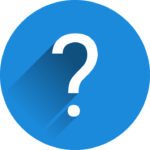 Check out our FAQ page to see if we can answer it for you. 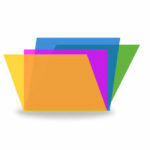 Download or View Important Acari Literature. Find out if Acari-Drill Free will fit on your truck. Over the past 5 years, ACARI Engineering has successfully introduced a revolutionary drill free mounting system for the fleet truck market. We encourage all to experience the convenience and quality that is ACARI™ Drill-Free Mount. © 2017 - ACARI Products, Inc.